Q: How impor­tant was Con­gress­man Bourke Cockran’s influ­ence on the young Churchill? His words still call to us across the years. 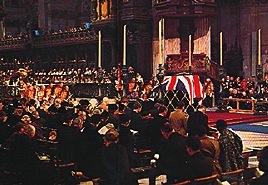 St. Paul’s Cathe­dral, 30 Jan­u­ary 1965…. Any­one read­ing this knows where they were on 9/11/01. 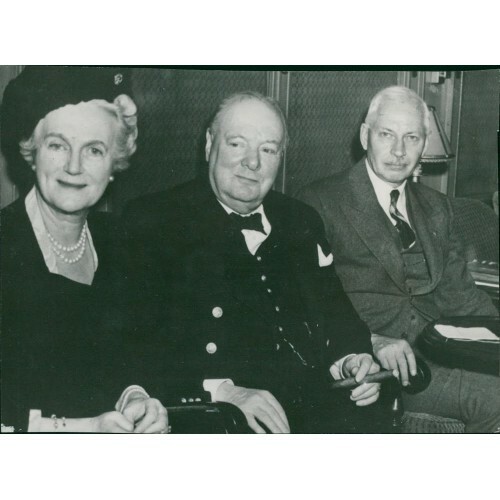 A dimin­ish­ing num­ber remem­ber where they were on 1/30/65—the day we said farewell to Win­ston Churchill. For me it was a life-chang­ing expe­ri­ence. Sud­den­ly, unfor­get­tably, on my flick­er­ing black and white TV screen in Stat­en Island, N.Y., the huge void of England’s grand­est cathe­dral filled with The Bat­tle Hymn of the Repub­lic. He was, we were remind­ed, half-Amer­i­can, an hon­orary cit­i­zen by Act of Con­gress.